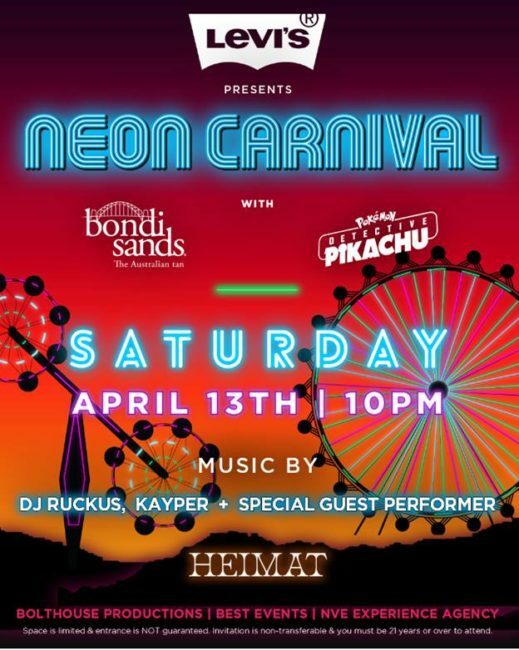 Neon Carnival, the highly anticipated desert experience, will return to illuminate the night sky on Saturday, April 13th, with its biggest fête to date in celebration of its 10-year anniversary. In partnership with Levi’s® Brand, the exclusive event welcomes new additions including Australian born beauty brand Bondi Sands and the upcoming big-screen adventure “POKÉMON Detective Pikachu,” from Warner Bros. Pictures and Legendary Pictures, to commemorate another year of music and festivities. Conceived by LA’s original nightlife maven, Brent Bolthouse and partner Jeffrey Best, the duo have created the unrivaled outdoor dance party that is widely recognized as one of the world’s most coveted after-parties, annually attracting the industries entertainment elite. 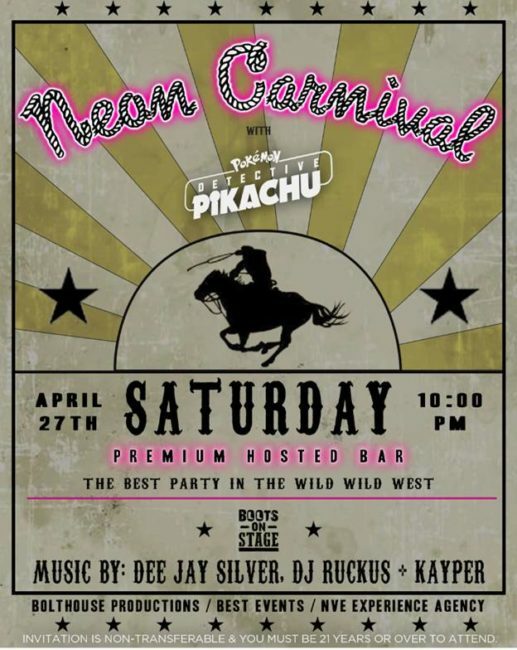 Adding to this year’s excitement is the Neon Carnival’s inaugural debut during weekend 3, at the desert’s hottest Country music fest on Saturday, April 27. Since relocating to its permanent home at the HITS Desert Park, the expansive equestrian center welcomes back festivalgoers with a newly redesigned all grass layout spanning 3 football fields, featuring new carnival style games and exhilarating amusement park thrills, with continued involvement from the biggest names in entertainment and consumer lifestyle, including the return of iconic denim inventor, the Levi’s® Brand, back to headline the event for its fifth consecutive year. Award-winning Australian self-tanning brand, Bondi Sands makes a splash as they enter the U.S. market by activating at this year’s carnival, including a fully branded bumper car installation emblazoned with neon signs and photo booth fun, in addition to hosting a water race game with branded balloons and more. Warner Bros. Pictures and Legendary Pictures joins the revelry to celebrate the first-ever live-action Pokémon movie, “POKÉMON Detective Pikachu,” starring Ryan Reynolds as Detective Pikachu and set for worldwide release beginning May 10th, with plans including rides on an electrifying POKÉMON Detective Pikachu themed Ferris Wheel and a chance to catch a photo op with the unique Pokémon. Wristband pick-up will be hosted by HEIMAT Los Angeles, while also kicking off their on-site Neon Carnival presence with an integrated HEIMAT VIP lounge experience. Los Angeles beer staple, Golden Road Brewery will be providing a unique bar activation bringing in their customized freight container serving up their most popular brews. New-media Company and digital platform for creative leaders, Future Party, will help curate the guestlist for weekend 1. No strangers to the nightlife scene, Hollywood heavy hitter DJs Kayper, DJ Ruckus and a special guest performance will keep partygoers dancing with performances that last into the early morning hours. 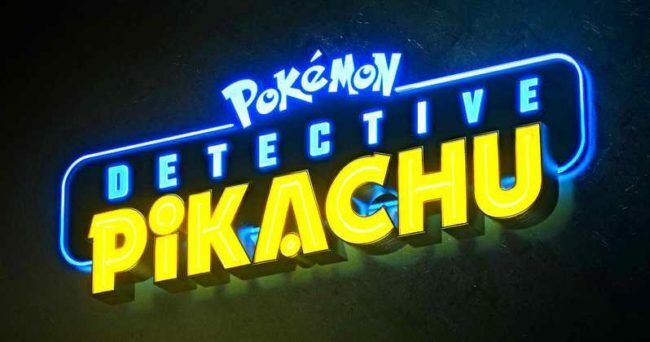 “POKÉMON Detective Pikachu” also stars Justice Smith, Kathryn Newton, Suki Waterhouse, Omar Chaparro, Chris Geere, with Ken Watanabe and Bill Nighy. The film is directed by Rob Letterman, from a screenplay by Dan Hernandez & Benji Samit and Rob Letterman and Derek Connolly, story by Dan Hernandez & Benji Samit and Nicole Perlman, based on “The Great Detective Pikachu” video game developed by The Pokémon Company and Creatures Inc. It is produced by Mary Parent, Cale Boyter, Hidenaga Katakami and Don McGowan; with executive producers Joe Caracciolo, Jr., Ali Mendes, Tsunekazu Ishihara, Kenji Okubo, Toshio Miyahara, Hiro Matsuoka, Keiji Ota. Music is by Henry Jackman. Warner Bros. Pictures and Legendary Pictures present a Legendary Pictures Production in association with Toho Co., Ltd, a Rob Letterman Film. It will be distributed outside of Japan and China by Warner Bros. Pictures, in Japan by Toho Co., Ltd. and by Legendary East in China. 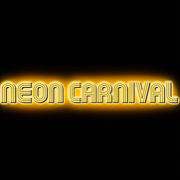 Neon Carnival was created by Brent Bolthouse and continues annually during music’s biggest festival weekend. GUESTS MUST BE 21+ TO ATTEND AND WE REMIND ALL ATTENDEES TO PLEASE DRINK RESPONSIBLY.